Well. That was quite a year. Lessee – what happened? The election, I think, is easily the biggest thing, and the thing that holds the most promise for 2009. For us, the new kitchen and stairs are a huge change for the better. A couple unexpected twists and turns along the way (permits, anyone? ), but overall, the changes have been enormous and positive. Career-wise, things were really good for the most part – lots of moves in the right direction. I got a really great chance to build some useful skills – working with a wide variety of people on a wide variety of projects, got to look at design from a high, system-oriented level. I got a good chance to make a lot of positive change on those projects. Who knows, despite getting laid off, there’s some chance some of those projects will eventually see the light of day. We’ll see. At the end of the year, even, I got a chance to do some consulting, which is something I’ve wanted to see if I could do, and so far, it’s turning out pretty well (I think). I think it’ll grow into a good opportunity in 2009. The next year, we’re going to almost certainly finish up the big things on the house – do the drywall, and get a lot of the cosmetic things done. * I will drop to <210lbs by April That’s it! If anyone’s interested in seeing the writeup I did for the Game Design class I did (referenced a couple posts down), send me an e-mail address (helava@alum.mit.edu), and I’ll send you a link to the Google Docs thing. It’s missing a couple sections, ’cause I had to remove proprietary stuff, but it’s still almost complete. So… I got a job doing some contract design with Ei-Nyung’s company. It’s a weird time, because I’ve got some really distinct work to do at a time where NOBODY – and I mean NOBODY is hiring. So that’s pretty awesome. It’s definitely weird, though, because I feel suddenly un-confident. Like the last five years of experience don’t matter, or my opinion is really meaningless and weird. 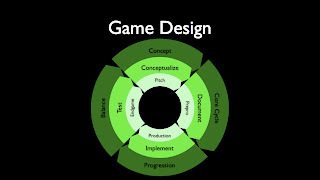 I think one of the weird thing is that in games, game design is a skill that gets built up, and it depends on a lot of nuance that is really meaningful to people who are really familiar with games. Without the nuance, everything is really … obvious, and apparently simple. So it’ll be weird to see whether I can communicate the nuance to non-gamers in a non-console-game medium. It’ll be a nice challenge. We’ll see how well it goes. Still, the thing that’s weird is that I’d gotten myself psyched up for some free time, where I could work on the house and write the book I was working on – where now, I’ve been running a lot of errands and now working, and I don’t have any time for any of the other stuff. So it’s weird. Makes me a little restless, ’cause I wanted some time off, now it’s gone. But employment is good – in this market, it’s stellar. If I had to work through Christmas and New Years, that’s totally fine. Got some details to clarify with the company over the next few days, so that I’m a little clearer on the direction I should be taking, but otherwise, it’s good. Things are good. Life is good. Got no complaints. Yeah, I’m unemployed. Yeah, we’re alright. Yeah, I’m looking. If you’ve got any advice/leads, they’d be much appreciated. In the meantime, I’ll be writing, and fixing up the house. Gave my “Intro to Game Design” presentation today. Only about 10 people showed up, but given our current circumstances, I was glad that many people were interested. Response was really good – as good as I could have hoped for. People were positive, they were surprised, and I think it gave them a better insight into how designers think. Or should think, at any rate. On a totally different note, despite finally buckling down on the financial side of things and seriously looking at restricting our spending, Ei-Nyung got us the Omega Pedal – a Pearl drum pedal modified to work with Rock Band. It’s AWESOME. Just like the ION kit is a totally different experience than the standard kit, the Omega pedal is as sizable step up from the ION pedal as the ION drums are from the standard pads. Really does emphasize how good a job Microsoft did with Xbox Live. Nothing else comes even remotely close. The Wii implementation is so geared toward paranoid safety that it strips away 90% of the fun. And I don’t mean just the racism and rampant homophobia. Still, great to see him online. Here’s to more! Guess it’s time to start looking. One interesting possibility is that a handful of other laid off workers, if it comes to that, might scramble to build a quick XBLA game. Which could be pretty awesome, though… who knows. It’s just a bit depressing. You are currently browsing the six seven six blog archives for December, 2008.